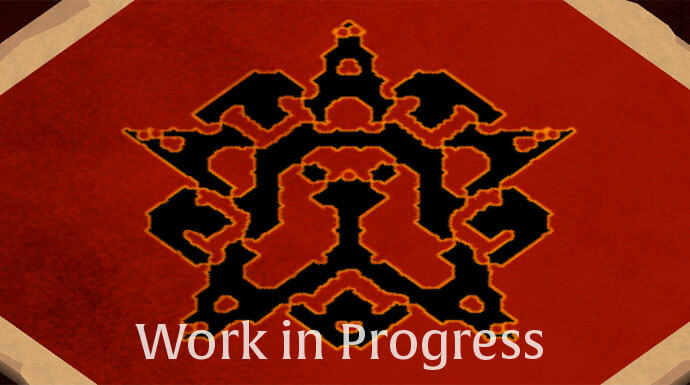 The current Hellgates are being revamped with new mechanics and a brand new map. Find out all about it here! Hellgates are an intrinsic feature of Albion Online, combining the thrill of PvP and PvE in one place. Brave adventurers can enter them by taking down demonic monsters in the open world, spawning the orange portal that leads them to the Hellgate. While the demons inside the Hellgate are not to be trifled with, the real danger comes from other players that may enter the same Hellgate, as all Hellgate portals in the world are connected. Adventurers can go full ham on one another, with Hellgates being unrestricted PvP zones and thus do not causing any reputation loss! While in general Hellgates have been well-received and they are a great source for intense PvP fights, we feel that we can make them even better. 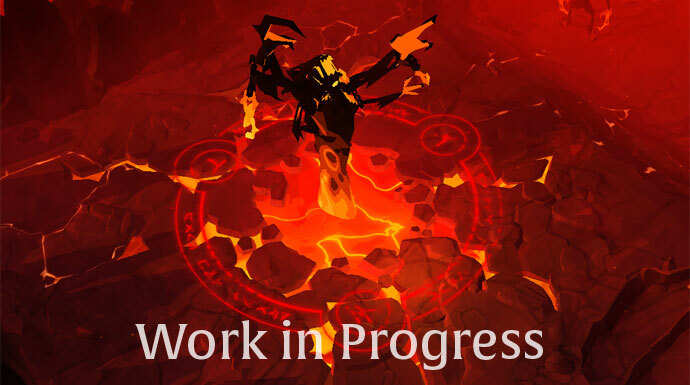 The main issues Hellgates currently have are related to teams dodging fights or pulling mobs to gain an unfair advantage in fights. Small tweaks or so-called band-aid fixes have proven to not fix the problems we were facing, which is why we have decided to create a new Hellgate map, revamp several of its mechanics and split them up in three different difficulties. It is important to note that everything mentioned in this article is still being internally tested and several smaller details might differ in the final version. The new Hellgates are planned to go live with the Hector update. Mobs should play no, or a very limited, role in deciding who wins the PvP fight. Mobs should act as sources for loot and as a time buffer that allow a second team to join the Hellgate before it is finished. Hellgate strategy should not be affected by artificial game mechanics such as timers. Dodging the opposing team should not be possible. At the same time, there needs to be a legitimate way out of the Hellgate if something unexpected happens, for example: your healer disconnects. Camping the opposing team’s entrance should not be a valid strategy. The new Hellgate map is shaped like a pentagram, with a circular path connecting the corner pieces. Each corner of the pentagram is a possible entrance. Which of the five entrances a team enters through is decided at random, which means it is impossible for the first team to know where the second team will show up and gate camp. Groups that enter the Hellgate get a protective bubble and cannot leave through any entrance for five minutes. The latter is to prevent fight dodging, and we might change this timer if deemed necessary. There will be very few trash mobs, and those that are on the map can be leashed easily. This has been done to fulfill the second design goal: making sure that PvE does not play a significant role in the Hellgate PvP fights. When a fight breaks out, players no longer have to worry about mob interference and can get to the fight right away. This also eliminates the “who pulls the mob first”-waiting games. However, Hellgates are not deprived of challenging PvE. Minibosses have been added in between the entrance points. These are immobile and ranged mobs, making them impossible to leash and can be very easily disengaged. Due to how they are placed, it is also impossible to hide behind them. Killing a miniboss takes roughly two minutes. There are three incentives for going after the minibosses. First of all they drop a significant amount of loot, as well as silver and fame. Secondly, killing a miniboss will grant you a damage buff and health restoration. Lastly, killing all minibosses will trigger the main boss spawn and close the Hellgate entrances. This means no other team can get in, making it a very valuable objective for the first team to enter the Hellgate. Once all minibosses are down, the main boss will not trigger right away, giving everyone enough time to move towards the center of the map. 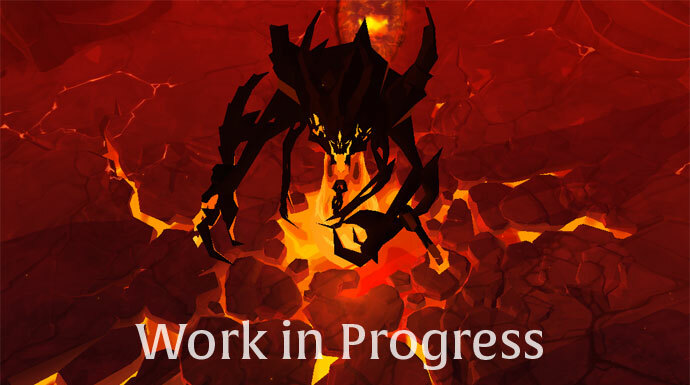 If the minibosses are left alive, the main boss will appear several minutes after the first team has entered the Hellgate. Killing the boss will spawn an exit portal, which can be used to instantly exit the Hellgate. Hellgates are currently connected globally, meaning that a team entering from a yellow zone could be matched against a team entering from a black zone. 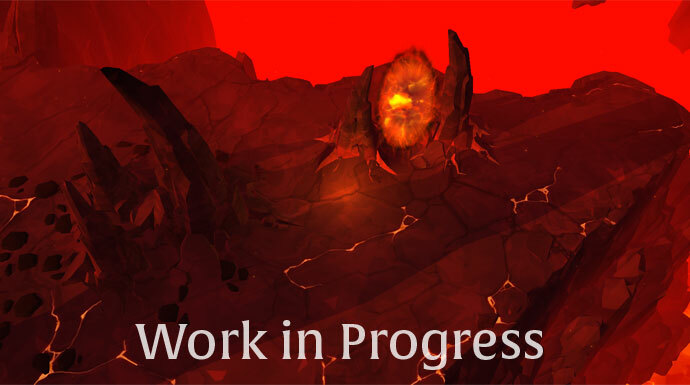 We are changing this by splitting up Hellgates in three levels depending on which zone you enter then from: Ashen Hellgates (green zones), Ignited Hellgates (yellow zones), and Infernal Hellgates (red and black zones). These Hellgates are for teams of two players each, have a power cap and are perfect for beginners to Albion Online who are not yet familiar with PvP and Hellgates. Teams: Two teams of two players each. Death Penalty: Knockdown and teleport out of the Hellgate. Mobs: Trash mobs, minibosses and a chest in the center. Loot: Low amount of Souls and Runes. For those who are not quite ready for full-loot PvP, there are the ignited Hellgates. Teams: Two teams of five players each. Mobs: Trash mobs, minibosses and main boss in the center. Loot: Low amount of Souls and Runes. Chest have a chance to drop level one (soul) artifacts. Infernal Hellgates can be entered through red and black zones only. These are the unrestricted version of Hellgates, with the most punishing ruleset but also the best rewards. Entrance: Red and black zones. Death Penalty: Death and full loot. Loot: Artifacts, Souls and Runes. Want to have a sneak peek of the new Hellgate map and mechanics? We will be streaming Hellgate showmatches on the Albion Online Twitch channel later this week, stay tuned for more info! Are you looking forward to these changes? Be sure to let us know your feedback in the comments below or on our forums!